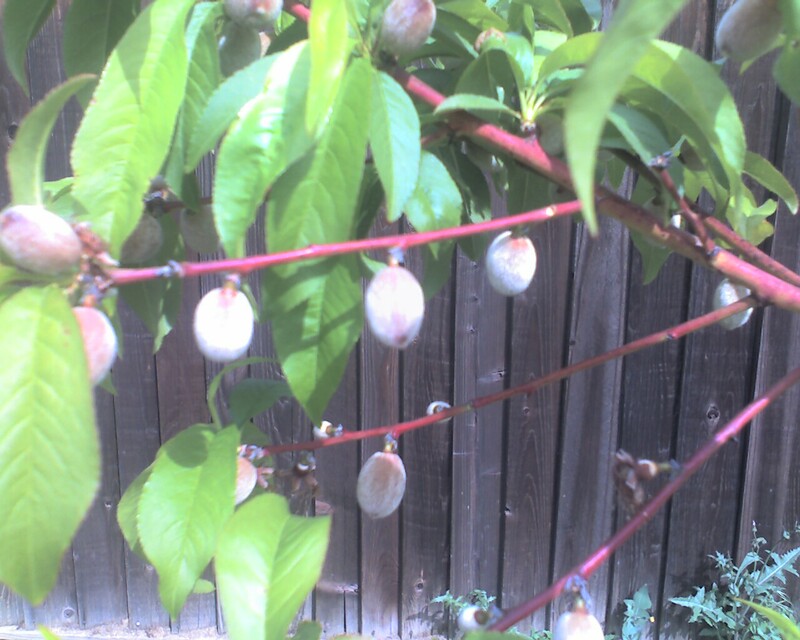 Tales from the Den of Chaos: Peachy! Those are peaches. 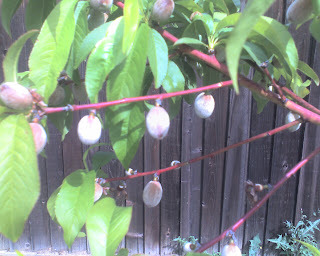 There are also a few baby nectarines on the tree. On the one hand, I won't be surprised if they shrivel up and fall off - this is the little tree's first year in this ground. On the other, would it not be AWESOME if a few of them DID survive?! Just looked at my artichokes too. Looks like the one I thought was a donation to the Snail Hunger Relief Society has decided it wants to live after all. Heh. These things are actually weeds in some areas out here. Always trips me out a bit when they're two bucks each at the supermarket...tramp around the Delta for a while, you'll probably find a patch of 'em, growing wild.